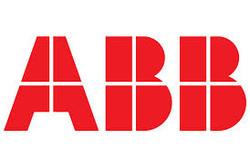 We are a pointed agent of ABB to sell various DRIVE & PLC sector. We can serve also service on site, trouble shooting and integrating system with PLC.Measure, monitor and save energy with ABB drives. ABB is a leader in power and automation technologies that enable utility and industry customers to improve their performance while lowering environmental impact. A market innovator in both motors and drives worldwide, ABB drives are designed to control a wide range of applications. ABB drives are designed for easy selection, installation, commissioning and operation. They include a wide variety of built-in features which help reduce installation space and cabling and increase energy efficiency. Feel free to contact us for inquiry!